Composite Doors in Surrey & Croydon | The Wright Glazing Company - The Wright Glazing Co. The Wright Glazing Company Ltd is your local Solidor Premium Installer, offering you a wide range of stylish, durable and high security composite doors at competitive prices in London and surrounding areas. You may be wondering about double glazing prices in your area and what the best home improvement solution is for your property. Every home is different, which is why we specialise in the very best products that can enhance and transform a property in a cost-effective and budget-friendly way. There are a lot of types of doors to choose from when it comes to selecting door replacements for your home. However, when it comes to materials, design and functionality no door quite matches up to that of the composite door. A composite door is made up of a combination of materials, all chosen for their particular properties. This means it exceeds the performance of uPVC and timber as well as supersedes them in strength and resilience. With a rigid polymer frame and multi-layers, the composite door creates a barrier against adverse weather conditions and potential break-ins keeping your family and home safe. Our composite doors feature a scratch resistant glass reinforced plastic skin that is durable and creates the perfect finish. Our doors also exceed building regulation standards for thermal efficiency and are PAS24:2016 Certified. You won’t have to choose function over style because our composite doors deliver the entire package. Our range of doors consist of solid laminate and a timber core unlike most foam filled profiles on the market. This means that our composite doors are incredibly thermally efficient, and 100% recyclable making them a sustainable and environmentally friendly solution. All of our doors are Secured by Design with high security locking systems inbuilt by default. The enhanced security of a composite door offers superb protection partnered with a robust profile that deters intruders and withstands the test of time. We have a range of stunning designs from traditional cottage style doors to classic and modern designs to suit any property type. The ultra-contemporary Italia range is particularly popular, achieving a high end and luxurious aesthetic. 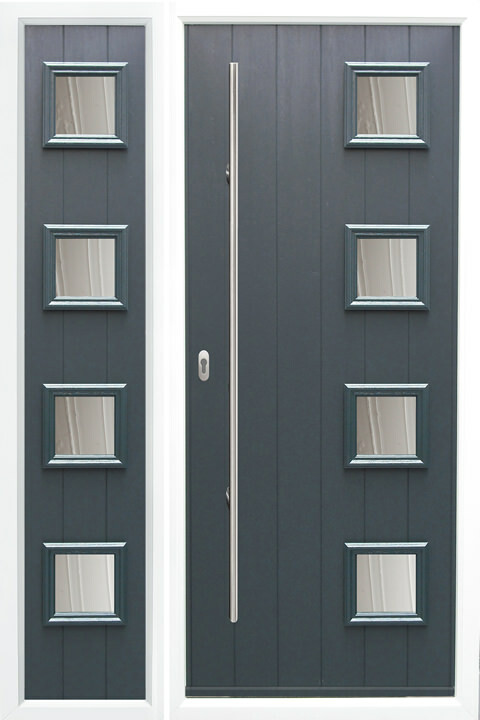 Our doors are available in 16 colour options including Anthracite Grey, Chartwell Green, Duck Egg Blue and classic Irish Oak to name a few. With a wide range of stylish hardware available ranging from traditional ironmongery to modern futuristic styles to suit any taste. With a woodgrain exterior, composite doors give you the functionality of modern materials with the classic look of traditional timber. You can tailor your door with glazing options, hardware accessories as well as colour to create a wonderful first impression for your home. The advantage of the composite door is that it can fit perfectly with any property type from traditional to contemporary. Either seamlessly blending in with your existing aesthetic or standing out in contrast to create an eye catching focal point. Whatever you envision we can make it a reality. You can select from a range of attractive finishing touches with our hardware options including letter plates, knockers, handles and more in various colours and finishes. Completely tailor your door to meet your criteria to ensure a composite door solution that delivers on all fronts. With 16 colours to choose from inside and out, a unique 48mm solid core, exclusive door furniture, a secure locking system, chamfered or sculptured frames, the Ultion cylinder fitted as standard and thermal efficiency levels that exceed building regulations you’ll be glad you choose Wright Glazing for your composite door installation. 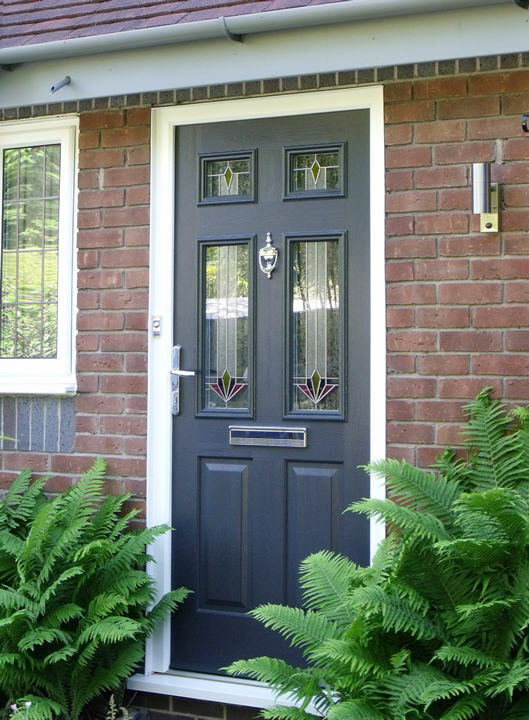 As well as incredible energy efficiency, our composite doors are a brilliant choice for homeowners that have property situated near busy roads or in built up areas. Installing a composite door can soundproof your home against noise pollution, making a tranquil and serene environment inside your home for all of the family to enjoy. We create composite doors that contain weathertight seals so that no matter how bad the weather, your home remains dry and warm. They eliminate draughts, stop any chance of water ingress and work hard to defend your home from even the most unpredictable weather. When you select a composite door from Wright Glazing you are investing in a virtually maintenance free solution that won’t require costly repairs or upkeep over time. Unlike timber that suffers with rotting, warping and deterioration your composite doors will look pristine even after frequent use. 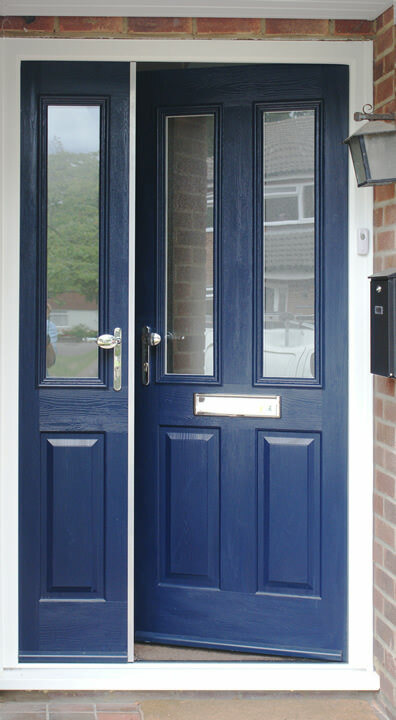 We offer our composite door services throughout Sutton, Epsom, Croydon, Fulham, Southfields, Putney, Wandsworth, Balham, Clapham, and surrounding London areas. For highly competitive prices for your home improvement project, get in touch with Wright Glazing via our contact page or get an online quote today. A member of our friendly team will be more than happy to help.